The Lice Place offers a full line of Austin Lice Removal Products for your convenience to help tackle the presence of nits and lice and to prevent infestation in the future. All of our products are safe, non toxic, and can be purchased at our many locations or online. Our unique TLP Terminator Comb is a comb with a mission. Its specially patented design will easily comb through all hair types and rid a head of all lice and nits. We’re so sure of that, it comes with a lifetime guarantee! TLP Shampoo is made with Neem oil and peppermint and is sulfate-free. The TLP conditioner deters lice and is made with essential oils. Both have a pleasant aroma and are gentle enough to use every day. TLP Mousse breaks down nit glue and is a great accompaniment to the shampoo and conditioner. It comes in 4 and 8 ounce sizes. TLP Mint Spray, also in two sizes, is made from natural products that lice don’t like. Used daily, it has a pleasant smell and keeps the lice away. It’s an important preventive measure you’ll be happy to use. Several of our products are available in kits, too. The Lice Removal Kit #1 contains the terminator comb, mousse and 8 oz. of mint spray. The Lice Removal Kit #2 includes the Terminator comb, mousse, 8 oz. mint spray and a bonus 4 oz. mint spray. 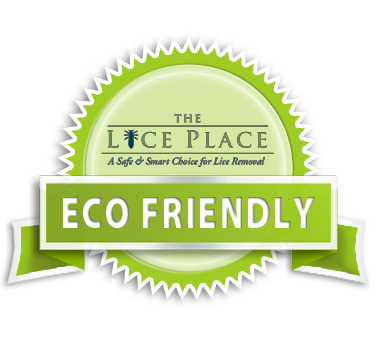 The Lice Place is all you need for Austin, TX Lice Removal Products. Call us today at 512-520-8360 to learn more or purchase our lice removal products today.